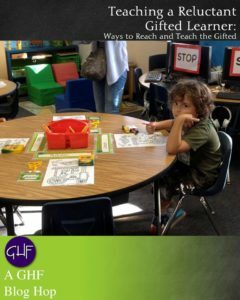 Reluctant gifted learners exist. Why? Because a gifted learner isn’t always a high achiever. Let’s make sure our expectations do more to support than harm. I know the posture well. She’s crossed her arms and set her jaw in defiance. A glint of challenge shines in her eyes. Books and papers lay strewn across the table, accompanied by shards of the broken pencil she snapped in two in a fit of rage. The toddler mumbles something about numbers. The oldest clears her throat and sighs. I exhale. How long have I been holding it? I am usually the last person to categorize children. But I’m going to do it here because I think there’s one universal aspect of childhood very often ignored. All children love to learn. Gifted children live for it. Exceptional learners crave exploration. Their brains are wired for problem-solving, discovery, and creative, innovative thinking. It’s almost as if their very breath comes from the process of taking in data, analyzing it, and doing something with it – quickly. So when they’re staring you down, snapping pencils, and fighting education like a cat on a cactus, it’s a symptom of a much wider problem. 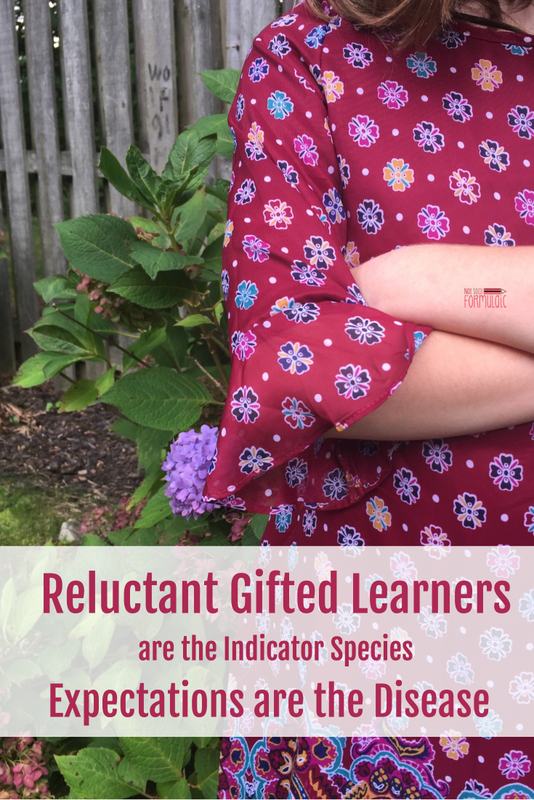 Reluctant gifted learners are the indicator species. It’s our expectations for high achievement that are the disease. 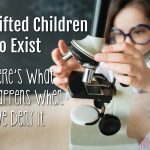 Working in a school system opened my eyes to one simple fact: there is no single group of children categorized faster than those who are gifted. There are so many expectations of who they are what they are supposed to be, and honestly, most of them are wrong. I had my own notions during my first year of teaching. In my mind, gifted education meant achievement. It meant working with students who wanted to excel, who desired nothing more than to be at the top of the class. I expected diligence, focus, and singular perseverance. Boy, did I get a surprise. Many of my students were high achievers. But the truly gifted kids – the brilliant ones – were failing. Why? They never turned in assignments. Class participation was rare. They were genial, charismatic individuals. But the modern model of education wasn’t cutting it. These kids were innovators, and we rewarded industry instead. Now that I’m a mother to my own gifted children, I see the difference between innovation and industry firsthand. My girls resist busy work and straightforward assignments for one reason: they’d rather be creating something in an environment in which they can excel. 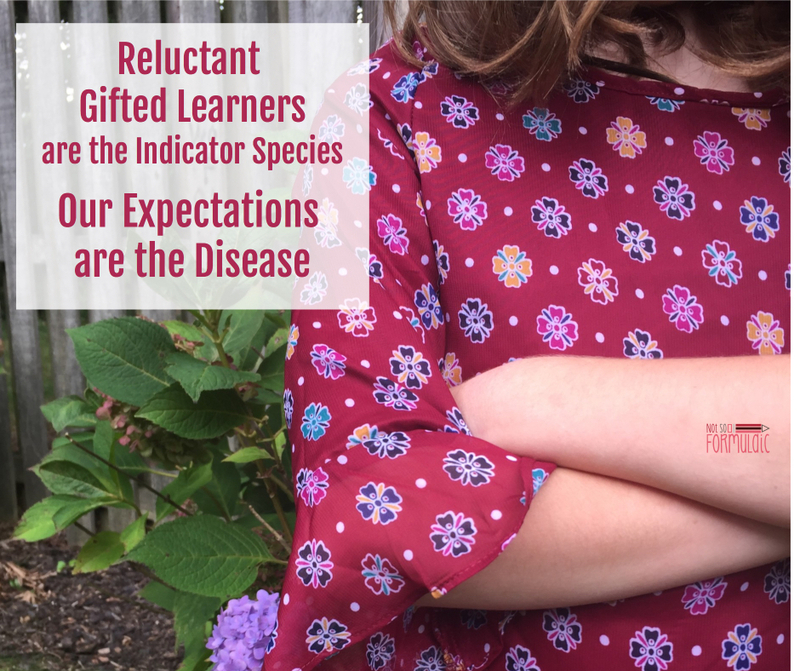 As my daughters’ preferences have indicated, gifted learners contend with a variety of concomitant factors capable of impacting or limiting achievement. Not everything comes easy, and this is an especially difficult realization for the gifted child. My children have an internal expectation that they’ll conquer everything from the outset. When they run into a challenging task or concept, their first instinct is to give in and hide. This starts a cycle of avoidance we have to chip away at, one little bite at a time. Gifted children have precise expectations. When they begin a project, they know exactly how they want it to be done. But what happens when the reality isn’t the way they imagined it? For most perfectionists, they’d rather not try it all. We struggle with tunnel vision quite a bit in our house. Topic A is interesting; topic B is not. 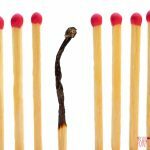 Why devote time and energy to an idea bearing little relevance to their current passion? Some gifted learners need movement; some need a consistent routine. Some children learn best in a quiet space; others need stimulation to focus. If the current learning environment doesn’t meet those needs, a gifted learner will fight it – not out of defiance, but survival. 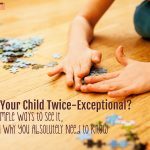 When a gifted learner is Twice Exceptional, she must contend with a comorbid diagnosis which limits or inhibits access to the curriculum. ASD, dyslexia, ADD, ADHD, anxiety, and depression can not only contribute to reluctance in the classroom, but to low achievement as well. Now, none of this is to say that reluctant learners get a pass in their education. After all, they will grow into adults who must learn to persevere when the circumstances are trying, or maintain a certain level of professionalism in the outside world. But I do think we would do well to remember the following, and to work toward support of gifted learners rather than responses that tear them down. When gifted children appear reluctant, it is because they are children. They may reason and converse like adults, but they are still human beings with emotions, passions, fears, and anxieties. To expect some sort of consistent, global tenacity when it comes to every facet of their education is to negate the very nature of their inherent personhood. The gifted learner is an innovator. Let’s support her with the skills she needs to learn perseverance, then step aside to let her soar. 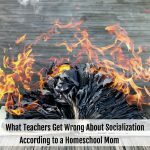 This post is part of the Gifted Homeschoolers Forum Blog Hop, Teaching Reluctant Gifted Learners. Excellent information. Teaching gifted students can turn into situation like walking on egg shells but your pointers can greatly help it run smoothly. Thank you for sharing this info, Ginny! I love that you offered your daughter two educational choices: Math, or outdoor play. Sometimes, I get scared to let go of the bookwork and let my kids go outside. I feel tied to the pen-and-paper learning. Great reminder to adhere to a well-rounded education! I need to remember that outdoor play is so important for my kids! It’s hard to break out of that mold, for sure. Great points! 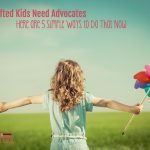 Sometimes we get so used to the “little adults” living in our house that we forget they’re just kids. We expect them to act with the maturity we often see, and are shocked when they don’t. Yup. It’s hard on all of us, I think. 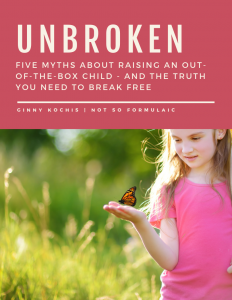 Thank you for a perfect summary of so many gifted struggles! This is an important topic. One I don’t think is talked about enough. Thank you. This is so important – understanding why kids are reluctant and not seeing it as a character flaw – they’re just kids, and they can’t always tell us why. So we need to be the detectives. Thank you for writing about it so clearly.